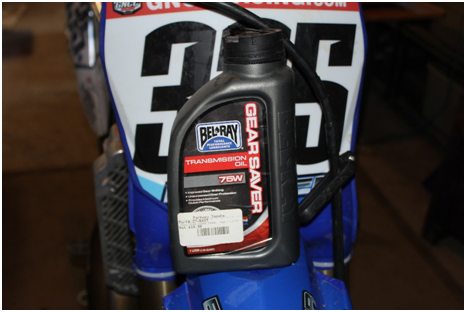 Changing your dirt bike oil is a must for every rider out there. It doesn’t matter if you are a beginner or a professional, at some point, you will have to change your oil. Having clean oil in your bike keeps you engine free from contaminates. It also makes sure that all moving parts inside of the engine are well lubricated. A well lubricated engine will of course last much longer and work better than one that has been poorly maintained. How to check dirt bike oil? How to check dirt bike gear/transmission oil? Deciding when to change your oil is usually based on hours ridden. It is hard to check any other way. 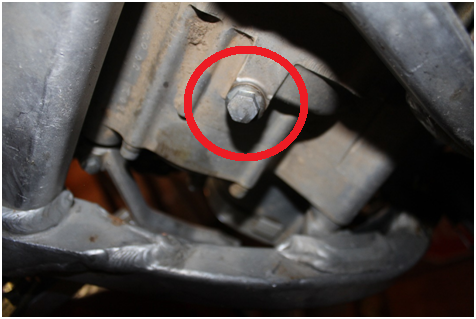 Some bikes have a check bolt where if you unscrew it and oil comes out, you know you have enough oil in your bike. Other dirt bikes sometimes have small clear bubbles for checking dirt bike oil levels and color but this is still hard to see. One thing you can do however, is to look at the oil as it is draining. This will give you a good indication as to whether or not you have changed your oil at the right time. If your oil looks similar in color to new oil (remember different oils can be different colors so only use this method if the old oil and new oil are the same), then it is probably still quite clean. Dirty oil is easy to point out. You will be able to see contaminants and it will have a generally cloudy appearance in your oil if it is dirty. This is where you can see if you changed your oil too soon or too late. If the oil is still perfectly clean, then chances are you could have went a couple of hours more on the bike between changes. 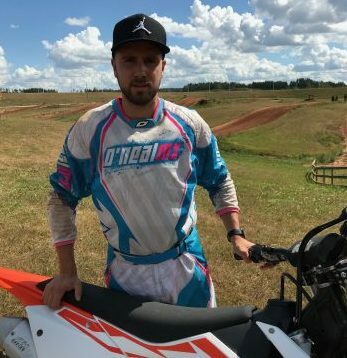 If the oil looks absolutely horrible, you may want to make your changing intervals shorter in order to get more life and performance out of your motocross bike. How often to change dirt bike oil? A dirt bike oil check is useless without a starting point for changes. Dirt bike oil change frequency should be typically between 5 and 10 hours of use on the bike. Racers at a high level may want to change it even more often than that. For the average rider though, every 5 to 10 hours is a perfectly good amount and will keep your bike in good shape. How to change 4-stroke dirt bike oil and how to change 2-stroke dirt bike oil? This article will give you a step by step guide that will help you successfully change the oil on any dirt bike. We have included professional tips to take this guide one step over the others that you will find on the internet. 4-stroke dirt bikes require a few extra steps than 2 strokes do. These steps have been pointed out so you can easily follow along for the type of bike that you have. Refer to your dirt bike manual. The manual will explain to you different oil capacities and types that your specific bike will take. Many of you will already know what oil to use, however, it is still always a good idea to consult your manual to make sure you are using a product that will keep your bike running as it should. Remember for a 2-stroke dirt bike you are changing the transmission oil. Its engine oil should be pre-mixed into the gasoline you use. Unscrew the fill plug before removing undoing the drain bolt. This will ensure that the oil flows more thoroughly out of the engine/or gearbox. 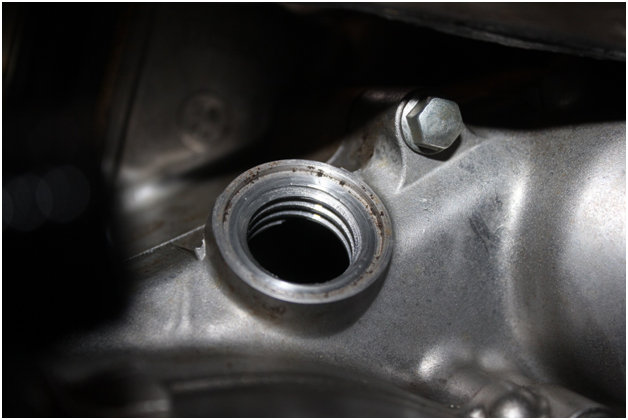 Remove the oil drain plugs from the bottom of the bike and allow the oil to drain into your oil pan. Remember that some 4-Stroke dirt bikes will have 1 plug where others will have 2. Make sure to take them both out if there are two bolts. 2-Strokes will only have one plug as their engine oil is mixed into the gasoline. Many dirt bikes now a days will also come with a skid plate. 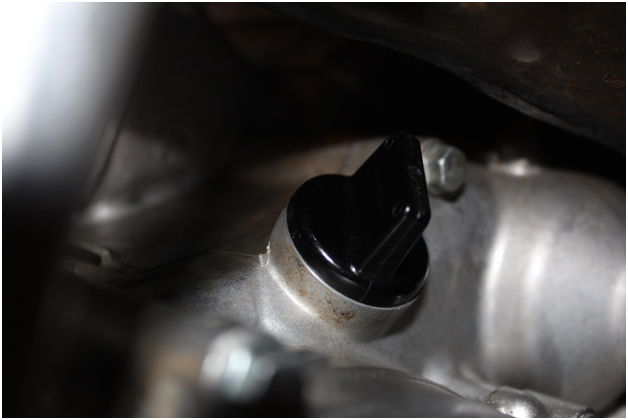 Certain bikes will require the removal of the skid plate in order to reach the drain plugs. This is relatively easy and it should be straight forward to take it off. Let the oil fully drain. Wiggle the bike side to side a bit once there is very little coming out to ensure you get it all. Pro Tip- You can buy magnetic tipped drain plugs that help catch any metal shavings that may be in your gearbox or engine. This is a great tool to help keep your bike in even better condition than just regular oil changes. Time to remove the oil filter. This is only if you are doing a 4-stroke dirt bike oil change. Leave all of plugs out of the engine so that any extra oil that may be stuck can drain when the oil filter is being removed. The filter will be held on by bolts. Use the appropriate sized T-handle or wench to remove them. Notice that the bolts are probably different sizes and threads, make sure that you remember to put them back in the correct position later. Once the bolts are out you can pull the filter cap off by hand. The caps are o-ringed sealed. Gently work the cap off. DO NOT use a hammer other tool for leverage or extra pressure. Now that the cap is removed. Pull your filter out. If you use a tool to help pull it out, be sure not to puncture anything. You should be able to just use your finger. Note the direction that the filter was placed inside, and remove the spring that is also likely in the housing. *Some 4-Stroke dirt bikes will also have a mesh or screen filter that you must remove. Many people opt to buy reusable metal oil filters for their dirt bike instead of having to replace the filter every time they change their oil. If this is you, it is important to thoroughly clean your oil filter before it is used. 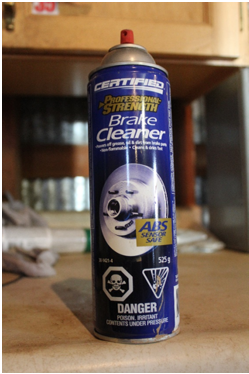 To clean it, spray a contact cleaner such as brake cleaner on it to get rid of any trapped particles and oil. You may also use a small amount of dish soap and water. Allow the filter to fully dry before using again. Some people use an air compressor to help speed this process up. Pro Tip- Be sure to clean the corners of the filter. You will likely see fibers and particles trapped there that should be cleaned out. Make sure to clean all of the filter components as best as possible. Wipe the inside of the oil filter housing dry with a lint free rag or paper towel to ensure no old oil is left behind. Next clean the oil filter cap. Use contact cleaner to make sure nothing is plugging any of the holes and that all of the debris has been completely removed. Replace the oil filter. Now it is time to put the filter back in place. Remember to put the screen in if there was one, and to also put the spring in. Slide the oil filter into place. Remember that 4-stroke dirt bike oil filters are directional so it must be put in a certain way. Put the cover back on and tighten the bolts. DO NOT overtighten. Advice on tightening bolts can be found in the next step. Pro Tip- If the O-rings on the filter cover are worn out or not sitting correctly, you must replace them. 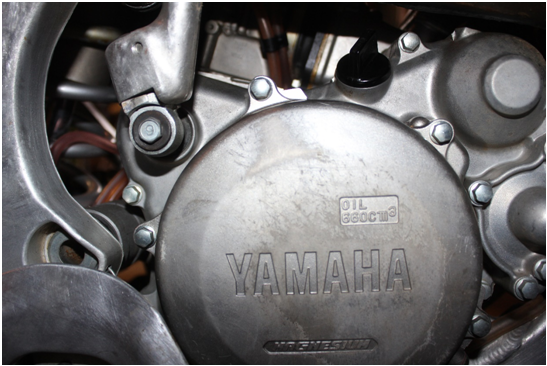 Using worn out O-rings can cause a poor seal and are not good for your dirt bike. Put the drain bolts back in the bottom of your dirt bike. DO NOT overtighten. If you are uncertain about how tight it should be we recommend buying a torque wrench until you get used to how tight the bolts should feel. 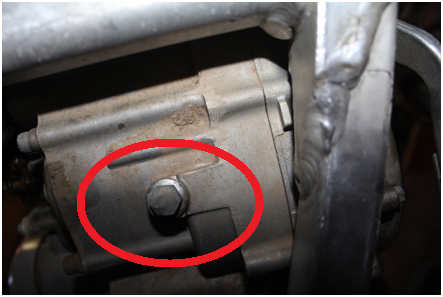 *Notice that the bolts are steel and the casing is likely aluminum. Overtightening the bolts could wreck the threads in the aluminum. This can be a costly fix. Now it is time to fill your dirt bike back up with oil. Consult the manual for how much oil you need to use. Use a funnel to pour your oil into the correct location. Remember that some 4-Strokes will have 2 different areas to re-fill with oil. One for transmission oil and the other for the engine oil. Once the bike is filled with the correct amount of oil, screw the cap on, and your bike is ready to go. Also read my blog about the best dirt bike oil of 2017!